Pavements can say a lot about a place. 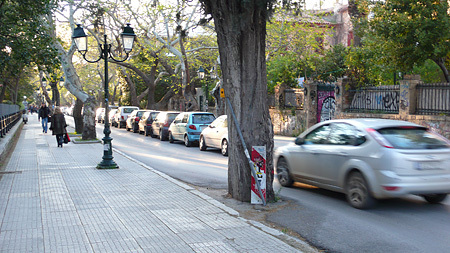 In a wealthy, built-up neighborhood such as Kefissia, pavements seem to be telling two stories. 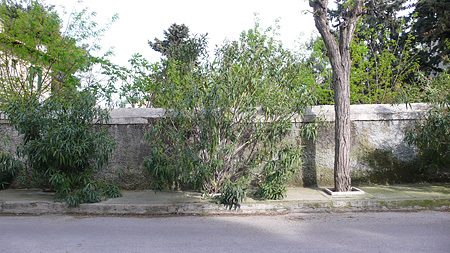 The first is that that, if pavements are heavily populated by trees and other plants, then this is obviously one of the few places left where they stand a chance of not being chopped down to make way for new property. 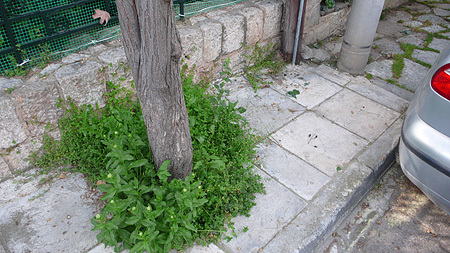 The pavement as plant pot. The second story is that car-culture dominates, and people who might wish to actually walk anywhere are second class citizens.